An off-duty firearms officer who was shot at seven times by a Turkish mobster during a gunfight in North London has been awarded the prestigious George bravery award. Martin Finney, of the National Crime Agency (NCA), dodged a hail of bullets during the near-deadly confrontation with armed gang member Sedat Meric in May 2014. Despite being alone at the time and not wearing any body armor, Finney pursued Meric until the gangster ran out of ammunition and surrendered. The incident was captured on CCTV. 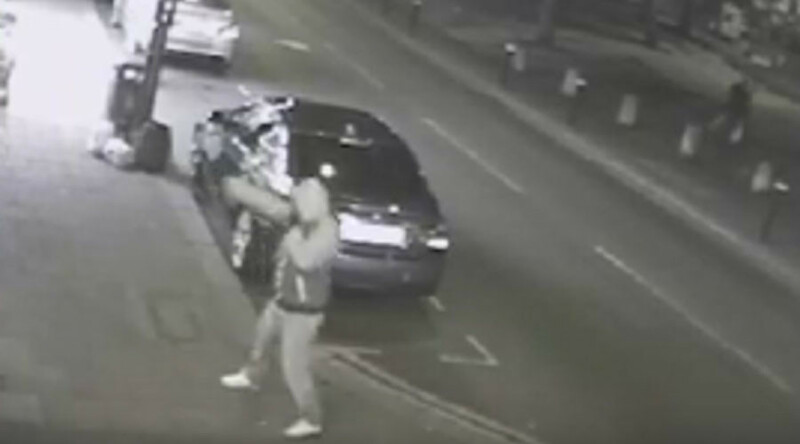 The footage shows a hooded Meric, 25, fire four times into the West Green Pool Bar in Tottenham, which had about 30 people inside, in an attack said to be part of an ongoing gang feud. A second camera then shows Finney, who had been returning from a surveillance operation, confront Meric with his weapon drawn. Meric ran at him and opened fire, missing by centimeters. Finney returned fire and bobbed behind parked vehicles for cover before tracking Meric into a dark residential street. Finney detained the gunman until he could be arrested by a colleague. Meric was later sentenced to 15 years in jail. On receiving his outstanding bravery award, Finney said: “To be associated with previous recipients of the George Medal is truly humbling. I was gobsmacked finding out about the medal.